Media Gate Group 2015 COMPUTEX Dinner | Computex Parties - The first directory to find all parties held during Taipei Computex show! 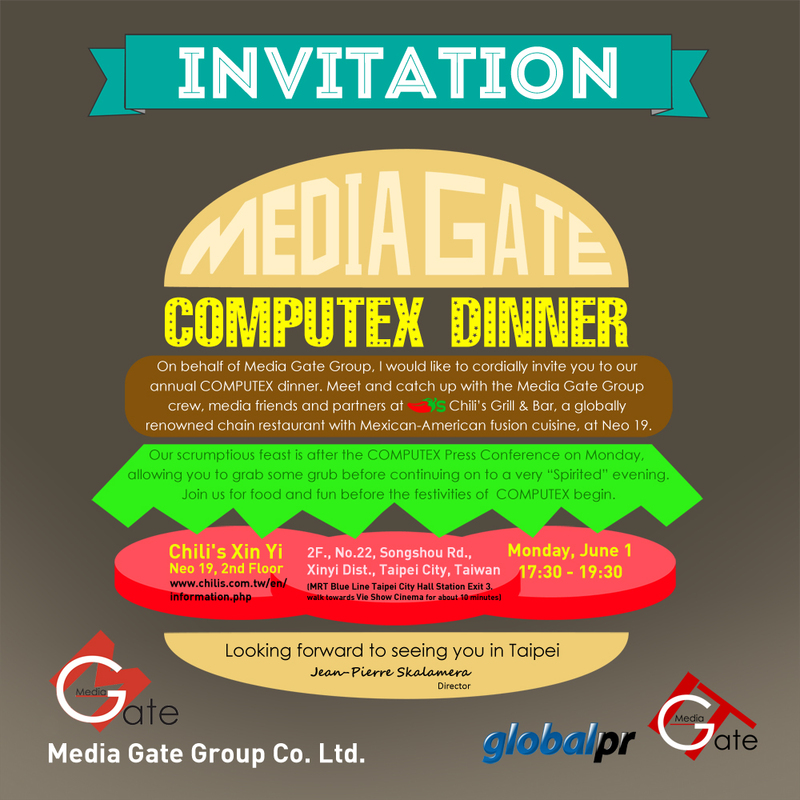 On behalf of Media Gate Group, I would like to cordially invite you to our annual COMPUTEX dinner. Meet and catch up with the Media Gate Group crew, media friends and partners at Chili’s Grill & Bar, a globally renowned chain restaurant with Mexican-American fusion cuisine, at Neo 19. Our scrumptious feast is after the COMPUTEX Press Conference on Monday, allowing you to grab some grub before continuing on to a very “Spirited” evening. Join us for food and fun before the festivities of COMPUTEX begin.